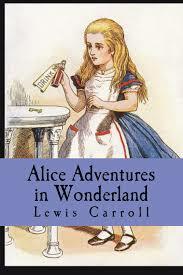 Lewis Carroll Research Papers examine a man well known for Alice in Wonderland who also had interests in mathematics, photography, and puzzles. Carroll was, Heath states, not particularly distinguished as either a mathematician or as a logician. Speaking of his mathematical work, Heath states, “Dodgson’s mathematical outlook was, in general, conservative and provincial, aiming no higher than the improvement of elementary teaching or routine calculation”. His work in logic was likewise not on the cutting edge. There are, however, some interesting aspects of his work in logic. For one thing he devised a system of logical diagramming that is similar to Venn’s diagrams and tree diagrams. This involved the use of rectangular boxes to display binary categorical data. This innovation, however, did not supplant Venn diagrams which remain in use today in almost every elementary discussion of the notion of sets. It is to be noted that Carroll never took himself too seriously and that the spirit of whimsy seemed to enter into his scholarly papers. What was perhaps his most important logical insight—that a rule permitting a conclusion to be drawn from a premise in any given system of logic cannot itself be considered to be a premise because, if it is, an infinite regress is generated—was brought forth by Carroll in a paper entitled “What the Tortoise Said to Achilles”. Another of his logical publications involved a discussion of the paradoxes involved in rules for employees entering and exiting a barber Carroll’s was a most interesting mentality. We may contrast him with Charles Babbage who was undoubtedly a more formidable genius, but who wore the sour aspect of a misanthrope all his life. Paper Masters writes custom research papers on Lewis Carroll and examine a man well known for Alice in Wonderland who also had interests in mathematics, photography, and puzzles.